You are viewing the Award for Excellence in Nonfiction tag archive. Elizabeth Partridge’s book, Boots on the Ground is a 2019 YALSA Excellence in Nonfiction Award Finalist. In what may be her best book yet, the author brings history to life, through first person interviews and photographs. Boots on the Ground brings the Vietnam War into sharp focus for our young adult readers. In Boots on the Ground, the author presents first person interviews with people with very different perspectives on the Vietnam War, including soldiers, medical personnel, a protester state-side, and a refugee. These personal narratives are interspersed with facts of the U.S. government and societal views occurring at the time, as well as treatment of veterans after the war, and the creation of the Vietnam Memorial in Washington D.C. The book is a visceral immersion into the war. 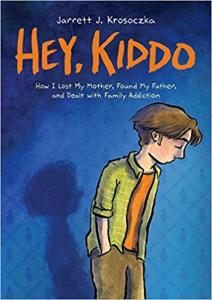 Graphic memoir Hey, Kiddo is a finalist for YALSA’s Excellence in Nonfiction Award, as well as a nominee for multiple other book awards. Author and illustrator Jarrett Krosoczka was kind enough to answer a few questions for The Hub. Congratulations on Hey, Kiddo being nominated for multiple awards! As a reader, I particularly loved your chapter heading pages with all their fascinating details. As the creator, do you have a favorite page or panel in this book? Thank you so much! My favorite aspect of an illustrated book is the page turn. It’s something that you really can only experience once the book is printed and in your hands. I just love that moment when you turn the pages and watch the story visually unfold. So…my most favorite page-turn in HEY, KIDDO is that scene when preschool Jarrett is struggling with the assignment to draw his family, and then in that moment when you turn the page, a double-page spread reveals the portrait drawn in crayon. If you were living in a refugee camp and met a non-refugee stranger in need, would you be willing to give them the coat off your back? What if you were thousands of miles away from home, and that was the only coat that you owned? During his time at the Syrian refugee camps in Greece, this is the selflessness and generosity that Don Brown and his family experienced from the refugees there. 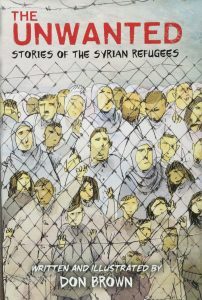 In his book, The Unwanted: Stories of Syrian Refugees, the 2019 YALSA Nonfiction Award Winner, Brown (the book’s writer and illustrator) imparts this message, that Syrian refugees are ordinary individuals placed in extraordinary circumstances, forced to make terrifying decisions but maintaining their humanity, generosity, and kindness. The YALSA Award for Excellence in Nonfiction honors the best nonfiction book published for young adults (ages 12-18) during a Nov. 1 – Oct. 31 publishing year. The award winner will be announced at the ALA Midwinter Meeting Youth Media (YMA) Awards on Monday, Feb. 2, 2015. Join us for a live webcast of the YMA Awards press conference or follow I Love Libraries on Twitter or Facebook to be among the first to know the 2015 winners. The official hashtag for the 2015 Youth Media Awards is #ALAyma. 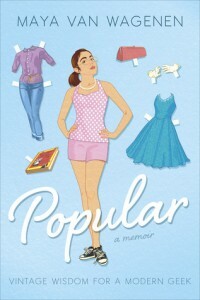 2015 Nonfiction Award finalist Maya Van Wagenen is being honored for her memoir Popular: Vintage Wisdom for a Modern Geek, in which she documents her unique experiences as a contemporary middle schooler seeking the secrets of social success from a 1950s popularity handbook written by former model Betty Cornell. We are so grateful to this busy young author for taking the time to chat with us about her book! It’s so amazing that you were able to connect with THE Betty Cornell to tell her how much her book meant to you. Have you had any memorable experiences with readers who felt a deep connection with your book? Meeting and writing to readers has been one of the highlights of this process. I get messages from people in France, the UK, and Russia, as well as all over the United States. Something I remember distinctly happened when I was doing a signing at YALLFest, a young adult book festival in Charleston. A girl approached me with her copy of Popular. It had colored Post-it notes sticking up from half the pages, comments scrawled in the margins, and quotes highlighted and underlined. It was incredible. I’m also pen pals with a fourth grade reader who dressed up as me for Book Character Day at school. The pictures were adorable and I was beyond touched. Steve Sheinkin has written screenplays, made films, edited and written textbooks, and now he writes full time, creating some of the most fascinating and fun to read nonfiction books for people of any age. These books include The Notorious Benedict Arnold : A True Story of Adventure, Heroism, and Treachery (winner of the 2012 YALSA Award for Excellent in Nonfiction award) and BOMB: The Race to Build -and Steal- The World’s Most Dangeous Weapon (winner of the 2013 YALSA Award for Excellence in Nonfiction award, as well as a National Book Award finalist, a Newbery honor book, and a Robert A. Siebert medalist) His book The Port Chicago 50: Disaster, Mutiny, and the Fight for Civil Rights is a finalist this year for the YALSA Award for Excellence in Nonfiction. Congratulations on being a YALSA Excellence in Nonfiction finalist! What was your reaction on hearing the news? Will you be attending ALA Midwinter in Chicago? 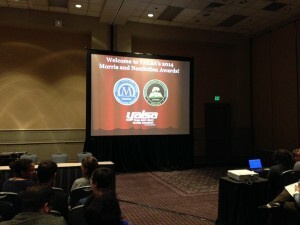 Going to the YALSA Award program and presentation? Thanks so much! 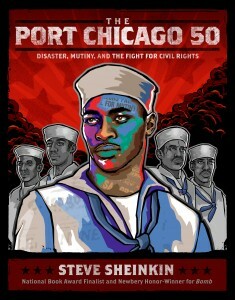 Of course, it was very exciting to get the news that The Port Chicago 50 was a finalist. I always become pretty obsessed with the stories I’m researching, but this one feels especially personal, because of the friends I’ve made along the way, and because I’m so glad to be helping to keep this story alive. I won’t be at ALA in Chicago, but will be following developments closely. Emily Arnold McCully is a 2015 finalist for the Nonfiction Award for her biography of Ida M. Tarbell, one of the first investigative journalists. How did you feel when you learned you were a finalist for Award for Excellence in Nonfiction? I was stunned and thrilled when I got the news. Never had I dreamed that my book would be nominated. I am honored and very grateful! What’s your favorite part of the writing process– research, outlining, first draft, revisions? 2015 Nonfiction Award finalist Candace Fleming is the author of over twenty works of fiction and nonfiction for children and young adults, including The Great and Only Barnum (a 2010 YALSA Award for Excellence Finalist) and Our Eleanor (a 2006 YALSA Best Book for Young Adults). 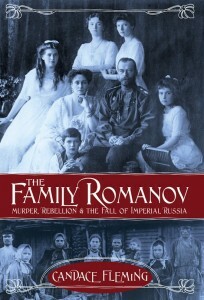 Her book, The Family Romanov: Murder, Rebellion, and the Fall of Imperial Russia is a finalist for the 2015 YALSA Excellence in Nonfiction Award. Ms. Fleming graciously took time out of her busy schedule to answer a few questions about her writing process and what inspired her to write about the tragic history of the Romanovs. What’s a typical day in your life as a writer? Most days, I wander down to my office – still in my pajamas and with coffee cup in hand – to spend the early morning hours writing. What I mean is, I play around with language, make discoveries, cheer, hit dead ends, curse, spit and pull my hair out. I use wide-lined, loose-leaf paper and a blue Bic pen. The smell of the cheap ink sends a signal to my brain that says, “We’re writing now.” And because these tools aren’t precious, I feel free to play around, make mistakes, crunch up pages and try again. Some of my best work comes from these early morning sessions. When this creative spurt sputters to its end (usually within an hour or two) I get dressed, go to the gym, and then head home for breakfast and more office time. This is when I tackle revisions, or do research. I also catch up on all the business of writing –answering emails, writing blog posts, booking school visits etc. I never work alone. Daily witnesses to my efforts (and frustrations) are my cats, Oliver and Oreo, who curl up on a pillow beside the warm radiator and stare at me with bemused expressions… when they’re not napping. Under my desk lies my dog, Oxford. He lends moral support by occasionally licking one of my bare feet. I’d like to tell you my tarantula, Betty, also aids in my writing process. She doesn’t. She just hunches down in her cage like a hairy lump. By four o’clock my day is done, unless I’m crunching a deadline, or completely absorbed in my work. I call to all the animals (except the spider) and close my office door. Ah, the glamorous life of a children’s writer, huh? The five finalists for the YALSA Award for Excellence in Nonfiction have been announced — and we’re featuring them here on The Hub. 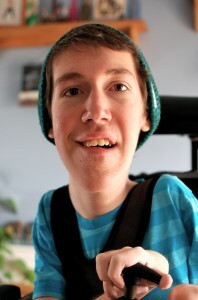 Today we bring you an interview with finalist Shane Burcaw, author of Laughing at My Nightmare, in which he writes about his experiences as a child and young adult with spinal muscular atrophy. In your memoir, Laughing at My Nightmare, you write about your experience as a child and young adult with spinal muscular atrophy, taking us from your diagnosis at age two, through childhood, high school and college and up to the present. Your book is wonderful, honest, funny, insightful — in short, I was impacted very definitely by what you wrote. I wondered if you could share with Hub readers why you decided to write first your blog and then your book. 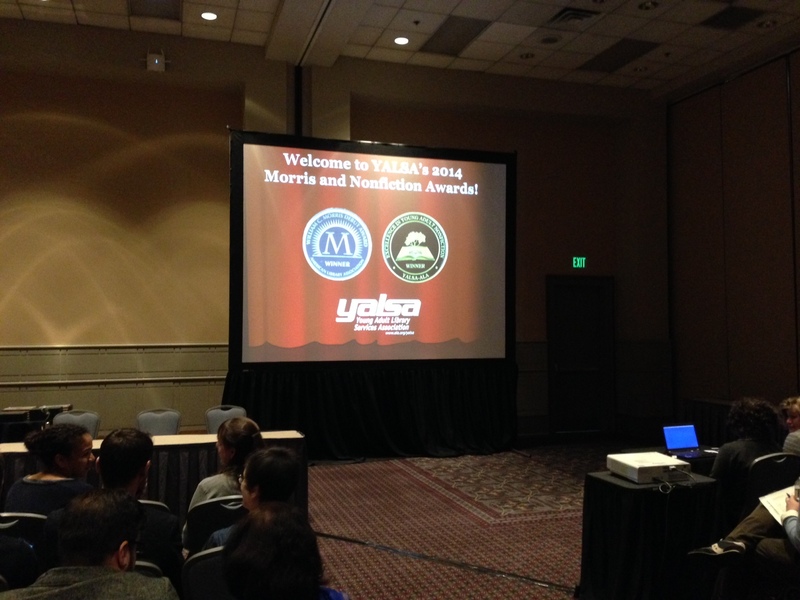 The morning of Monday, January 28th, at the ALA Midwinter Meeting in Philadelphia was filled with excitement. Right on the heels of the ALA Youth Media Awards came YALSA’s Morris/Nonfiction Program & Presentation, and the whole room was abuzz to celebrate this year’s finalists and winners of the William C. Morris YA Debut Award and the Award for Excellent in Nonfiction for Young Adults. Emceed by YALSA President Shannon Peterson, the program began with the Morris Award winner and finalists, introduced by Dorcas Wong, 2014 Morris Award Committee Chair.